Today, Chicago’s Independent Police Review Authority released video, audio, and other material from 101 cases of police shootings and other officer-related incidents. The database, which is searchable by incident type, incident date, and keyword, comes with a “viewer discretion advised” warning. The cases, which are still being investigated, concern officer-involved shootings (whether a person was struck or not), and cases in which a person died or was seriously injured while in police custody. The videos, which are available for 68 of the cases, include dashcam recordings and surveillance footage. The video—not to mention a long history of mistrust of the police force by the community—prompted the IPRA to release the videos. Chicago’s police department has had issues staying above the fold even when video and audio are involved, but here’s hoping the threat of releasing these incidents publicly can start to introduce some badly needed change. 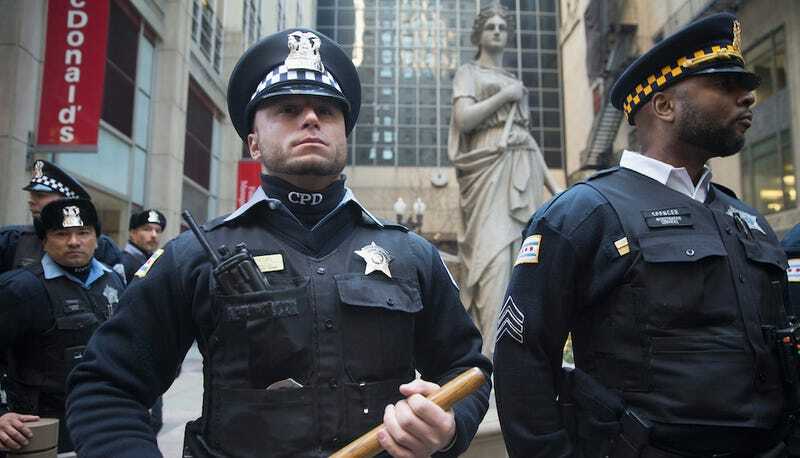 Across the country, too, there has been a growing chorus calling for greater transparency among police departments—perhaps other states will follow Chicago’s lead on this.